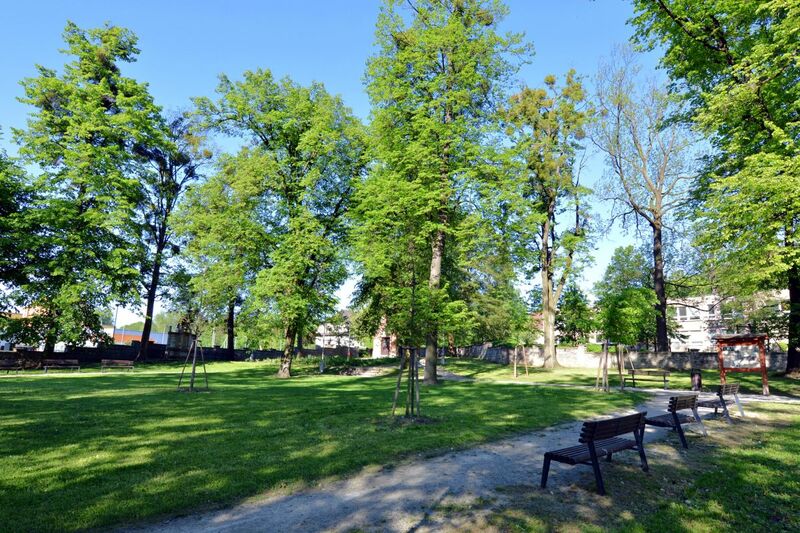 The most valuable monument of old Kopřivnice was a wooden church dedicated to St. Bartholomew, which stood in the middle of the old cemetery near the Reeve's House. According to rumor, it was built by a Lord of Šostýn, on the site where he was attacked by a dreadful snake, and luckily escaped the danger. The wooden church originated in the middle of the 16th century, as evidenced by the year 1567, which was located on its oldest bell. In 1871 the Church was extended and served its purpose until 1894. Two years later it was demolished. Wood from it was used as fuel the, equipment was partly transferred to a new temple, the rest was sold among the citizens. 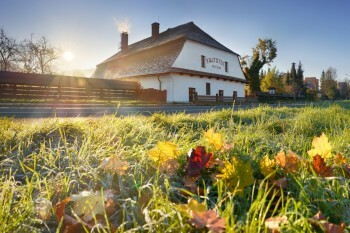 The original wooden church of St. Bartholomew was surrounded by a small cemetery where the deceased from Kopřivnice were buried for centuries. 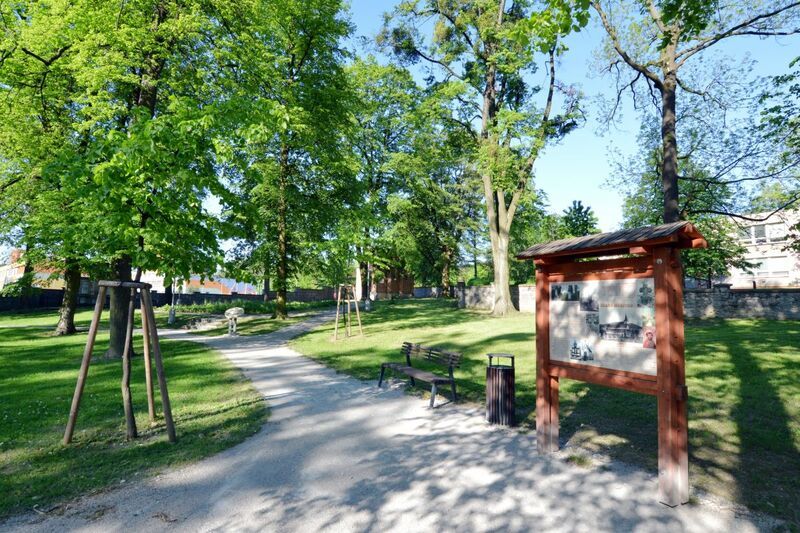 They stopped burying there in 1893, when a new cemetery was established in Kopřivnice. 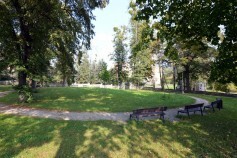 The old cemetery with a number of valuable tombstones gradually fell into disrepair until it was transformed into a park in the mid-1980s. 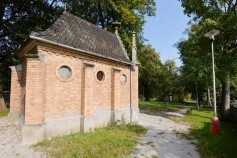 To this day, two tombs of Kopřivnice factory owners and a surrounding wall with an entrance gate have been preserved there. Other remains of the cemetery crosses are exhibited in the garden and the permanent exhibition of Fojtství Museum. 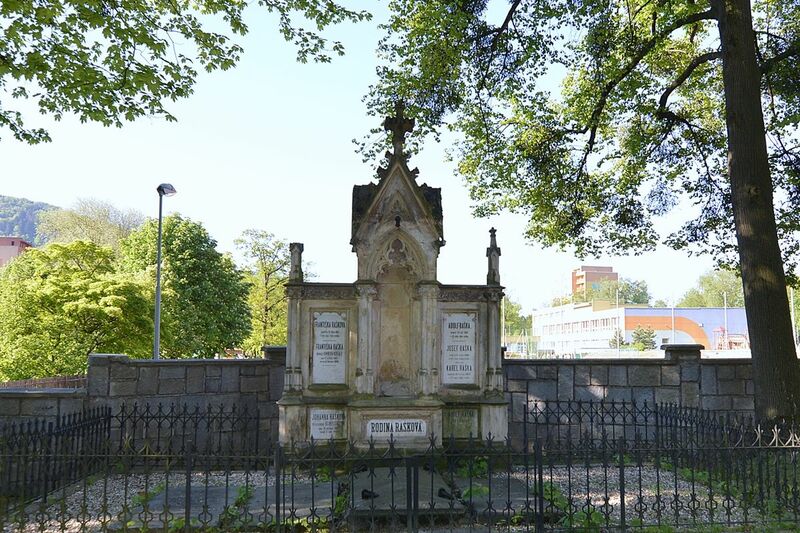 The Neo-Gothic tomb was built at the end of the 1870s in the old Kopřivnice cemetery for Raška’s family, who operated the Factory for earthenware in Kopřivnice from 1812. The tomb is made in the form of a wing altar, the central part of which carries the shape of a sanctuary with a canopy, originally completed with the Allegory of the Faith statue. 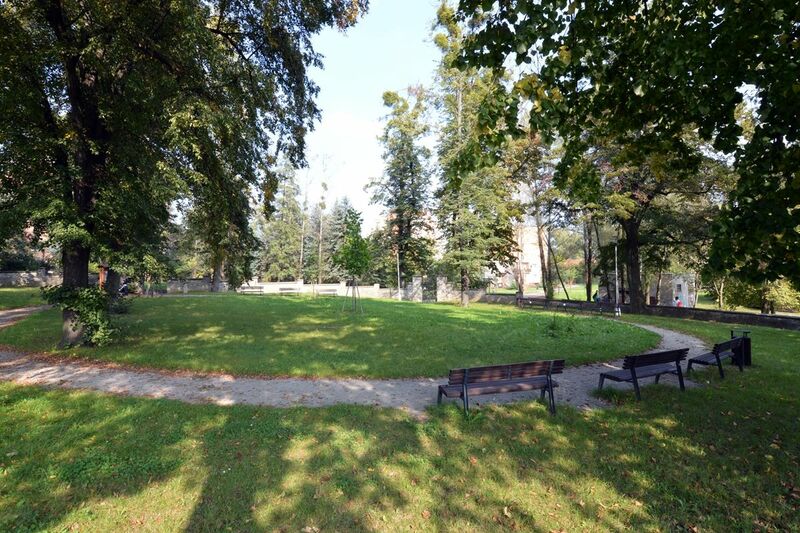 Three stone tombstones of members of the Rašky family, originally covering the nearby separate grave, are additionally placed in the area in front of the tomb. 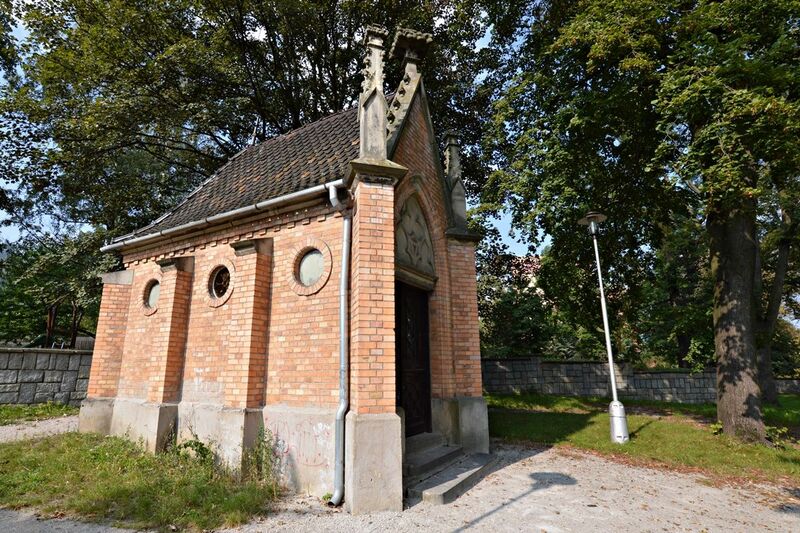 The family tomb, built in an old cemetery in the form of a Neo-Gothic cemetery chapel, was built by the novice architect Heinrich Czeike for the Šustala family in 1891. The building is distinguished by a combination of coarse masonry with magnificently conceived front-faced pillars with tower filaments. 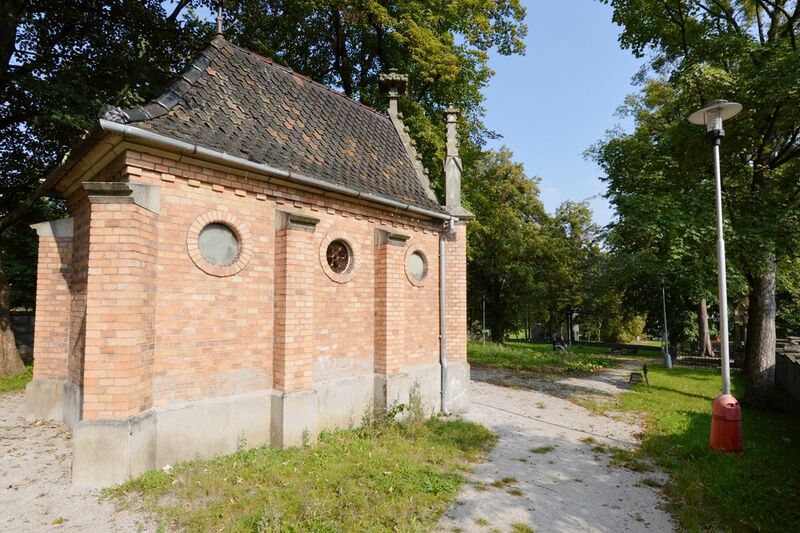 In the underground tomb chamber, enlarged in 1923, the remains of ten members of the Šustala family are stored. The marlstone tombstone of the founder of the Kopřivnice ceramic factory, Ignác Raška, is made of a heart-shaped pedestal with a low isosceles cross decorated with rosettes. The memorial inscription on the pedestal dates back to 1824. 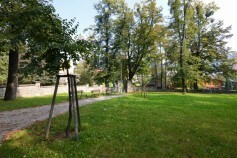 The tombstone originally stood in the old Kopřivnice cemetery, and was subsequently missing for years. 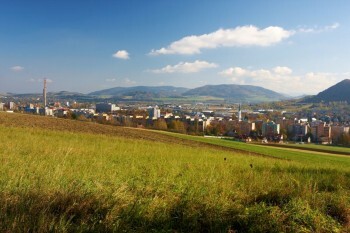 After its finding, it was restored and is now in a Fojtství Museum exhibition. 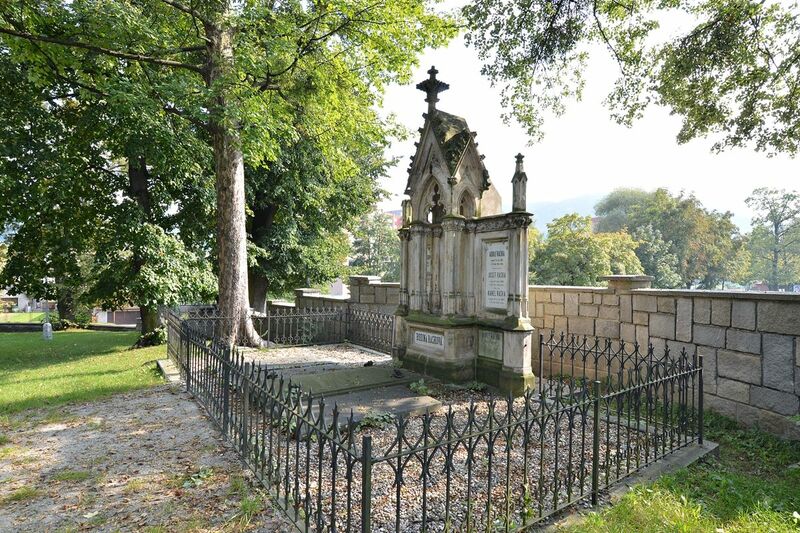 The low stone isosceles cross on a heart-shaped pedestal, on the front side decorated with rosettes and in a cross with a relief of a burning heart with an IHS monogram, stood along with other similar crosses in the old Kopřivnice cemetery. 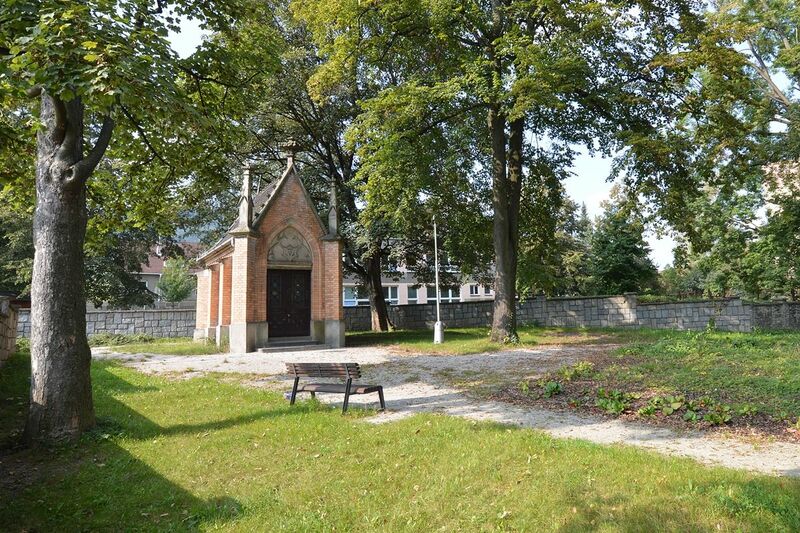 This explanation shows that it is the tomb of Napoleonic soldiers who died in Kopřivnice during a campaign to Russia. In the lower part of the tomb, however, the name of Apolena Sustalowa and the year 1828 are clearly visible. Now this cross is located in the exposition of Fojtství Museum.